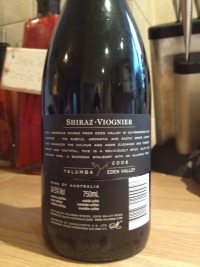 A heavy hitting Aussie blend of shiraz 95% and viognier 5%. 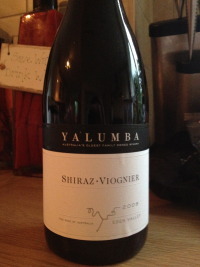 Full of black cherries and plenty of alcohol as is the norm for Australian reds. Pleasant drinker but lacking complexity. No sign of any spice which is the hall mark of a good Barossa red. With the 15% Australian promotion this was a worthwhile wine to try, but I won't be rushing back for more bottles at full wack.